The holiday season is quite possibly the most magical time of the year. Holiday parties, beautiful light displays, cozy evenings by the fire with family and friends and shopping for the perfect gift for everyone on your list. With all that, it is easy to get wrapped up in the excess of the holidays and forget what makes the season so special. It is a time to GIVE, and get joy from your generosity. It is a time to remember the people who are not as fortunate as you. And most importantly, it is a time to be with people, whether they are friends or family, and enjoy the moment. Volunteering is a wonderful way to give back, be with the people you care about and help those who are less fortunate. The Junior League of Seattle is a group of like-minded women who enjoy getting together to volunteer their time; this season in particular is a time for the ladies of the League to shine. The holiday season should be a fun, festive and warm time. Sadly, there are many children in our area that don’t get the opportunity to create happy memories during the holidays. Circumstances could vary; perhaps they or a family member are sick, or their family can’t afford to buy gifts, or even worse they have no family at all. 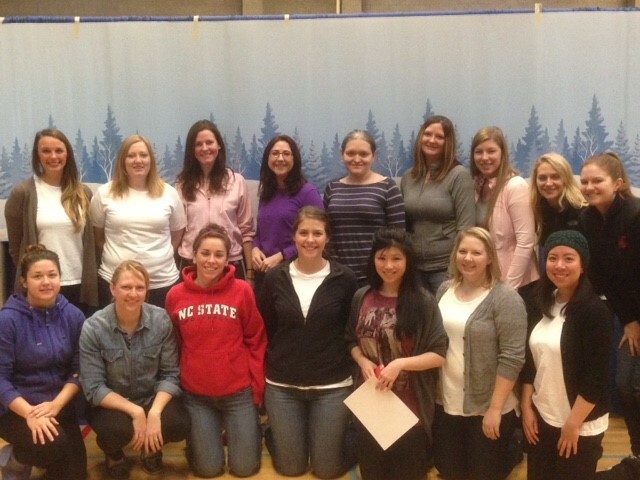 Earlier this month a group of Junior League of Seattle members got together to set up and work at the Harborview Holiday Party for Kids. 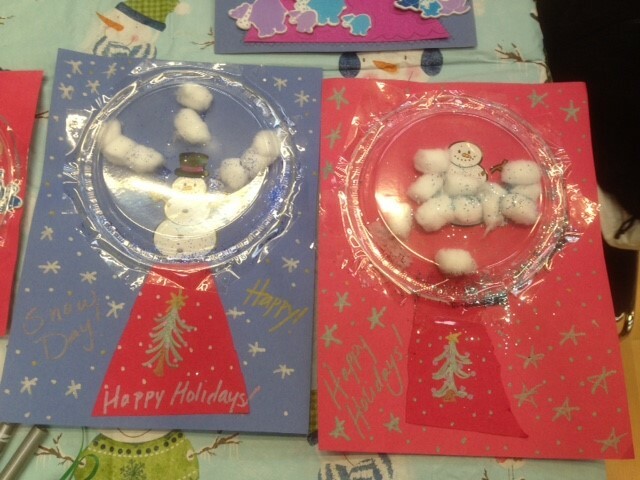 The Healthy Futures Art Project committee organized a snowman snow-globe craft project that the attendees were able to create and customize. A little over 400 children from the area showed up and participated in the holiday fun! The kids loved the interactive art project and the ladies of the League had a blast helping and watching all the smiles and hearing the laughter. Another aspect of the holidays that we all love is the food. Even if we go overboard, food is something that brings us together and puts a smile on our faces. Not having enough to eat is a very big problem for a lot of families in our area. 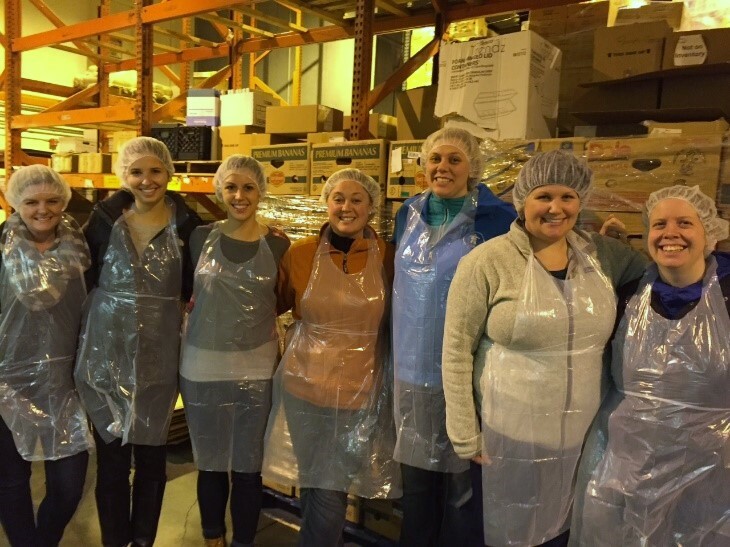 The Junior League regularly helps out at Food Lifeline, an organization that provides 82,000 meals a day to local food assistance programs with food that might otherwise go to waste. It is a fun way to get a group of people together to do something that really helps. 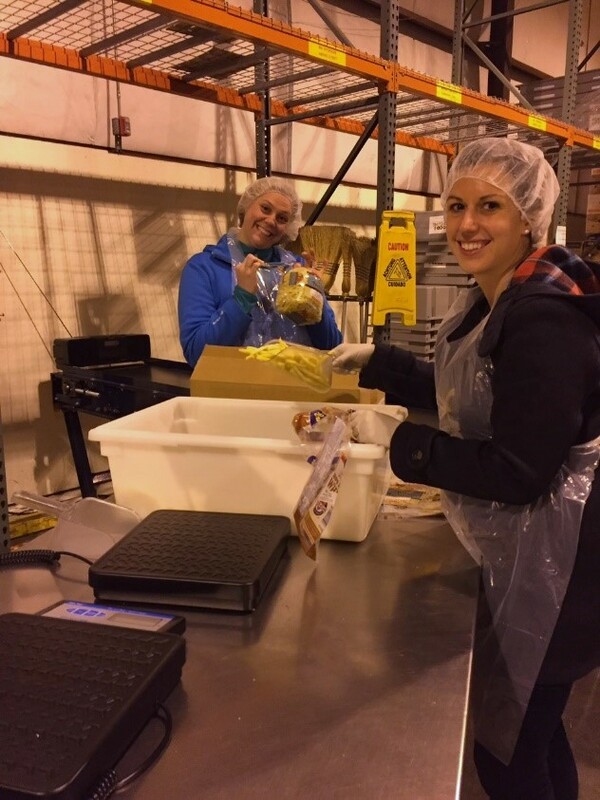 Much of the work that gets done at Food Lifeline is through volunteer hours! 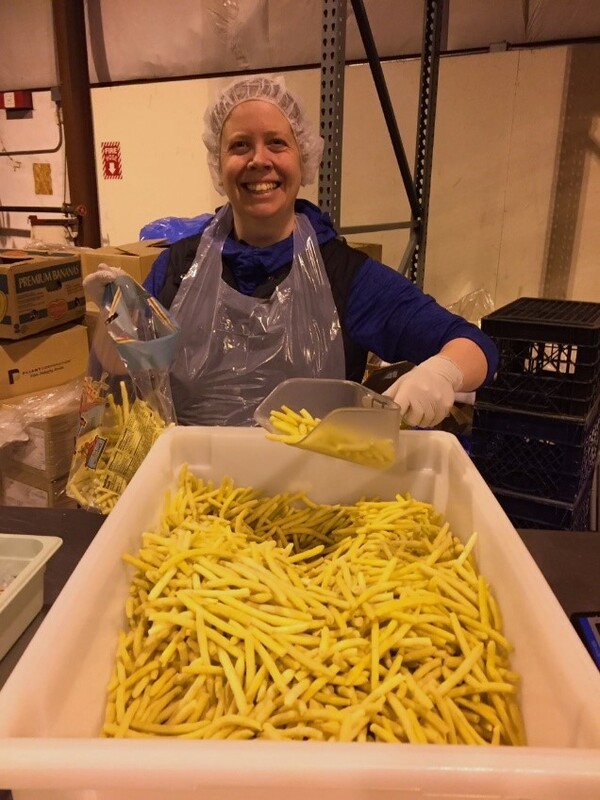 A shift could be filled with sorting donations, uncrating and then re-packaging produce, cleaning, weighing, etc. This past week, a group of Junior League members got together to do just that, and had a blast doing it. Volunteering doesn’t need to happen just during the holiday season; but doing it with a group of friends right now is such a great way to bring things in perspective when it’s so easy to lose sight of what is important. Not to mention, there is such a huge need. So gather up some pals and go help out an organization that is important to you. Helping those in need this year will only make your holidays all that more special. Last month, I had the privilege of participating in Field Day with the Junior League of Seattle ENERGY Committee at the North Seattle Boys and Girls Club. 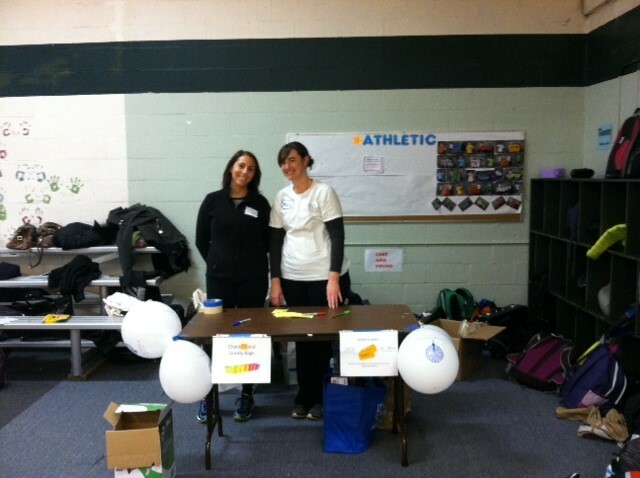 The goal of ENERGY committee is to educate and help children (and their parents) to improve their health and wellness. The children’s smiles and laughter at this event were certainly the highlight. They are a reminder that the long days at work or challenges we all face can melt with the smiling face of a child. The event was truly an enjoyment. After speeding off from work, I walked into a packed gymnasium with lots of eager energy and fitness stations. We had over 36 Junior League members and 4 community volunteers. Numerous stations were set up including jump rope, corn hole, 4square, relays, hula hoops, power challenge, soccer, basketball, and decorating superhero masks. I was on hula hoops and despite the skills I may have had as a child, my hula hoop skills have gone downhill. The kids, however, were so creative in their approach and it was fun to give them the option of coming up with ideas as they taught me a few things! Moving here from Florida, I am always looking to new activities for my kids to burn off inside during those rainy cold days. Field Day certainly gave me some great ideas for my own kids so I hope we were able to achieve the same goal for the kids at the North Seattle Boys and Girls Club. 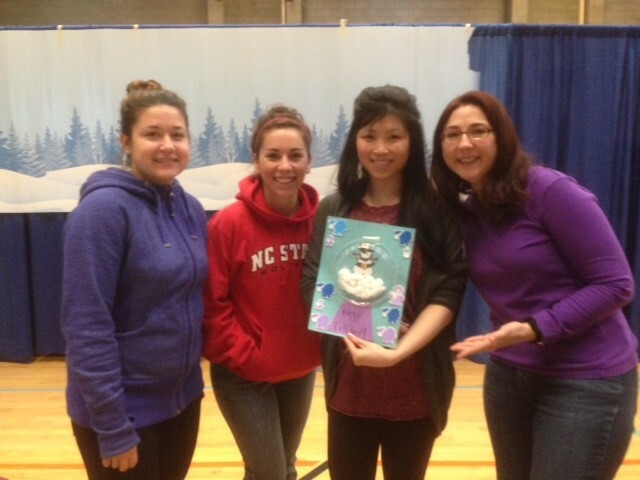 The staff at the club was amazing and you could see the warmth they have for the kids that attend their program. It was truly heartwarming. 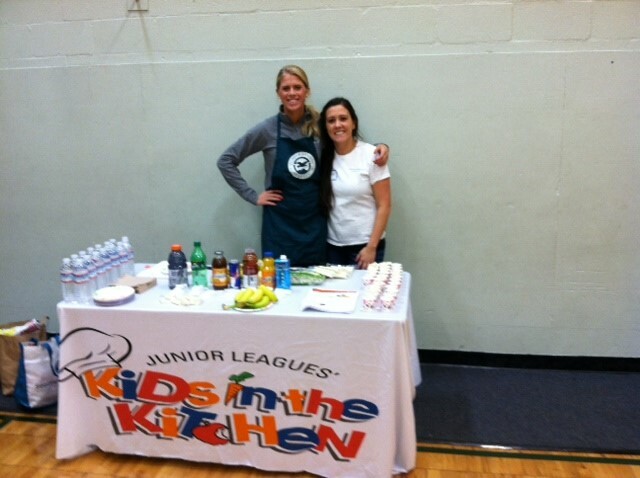 During my first year at Junior League I was part of the Junior League’s Kids in the Kitchen committee and learned quite a bit about food in the US and children’s access to healthy food. According to CDC studies, it’s suggested that some areas and households have easier access to fast food restaurants and convenience stores but limited access to supermarkets. Limited access to nutritious food and relatively easier access to less nutritious food may be linked to poor diets and, ultimately, to obesity and diet-related diseases. So it was fantastic to have the Kids in the Kitchen committee in attendance at Field day to give pointers and reminders about the amount of sugar in popular drinks. It is such a great experience to be part of the Junior League and its days like Field Day that take you to a place of wanting to give and help as many children as you can. And so after a wonderful time of being with the children, I rushed out to pick up my two kids and taught them a few new hula hoop tricks of my own.